Good news! While we’ve all been patiently to hear when the iPhone 5 release date will be, we’ve gotten word that will make all water sports enthusiasts and clumsy iPhone fans happy — the iPhone 5 may be water proof… Oh wait, we read that news brief wrong. It’s actually bad news for people who may find themselves giving their iPhones a watery experience because Apple has just secured a patent for a way to detect water damage in a gadget. The detection device will be easily accessible to Apple inspectors, according to the patent and something that is very crucial for Apple. The company’s warranty does not cover water damage and having an easy to check and difficult to dispute way of verifying water damage can be the difference between them having to pay for a replacement phone or saying no to the customer. 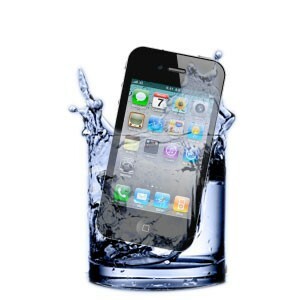 As we get closer to knowing when the iPhone 5 release date will be, perhaps it’s a good time to start thinking about ways to make sure your new iOS device is saved from any type of water damage to avoid any headaches. For one, maybe we should stop bringing our iPhones with us to the toilet?